1. i wore this same hat when we went to the racetrack last year (post here) and it's perfect for being fancy and ridiculous. 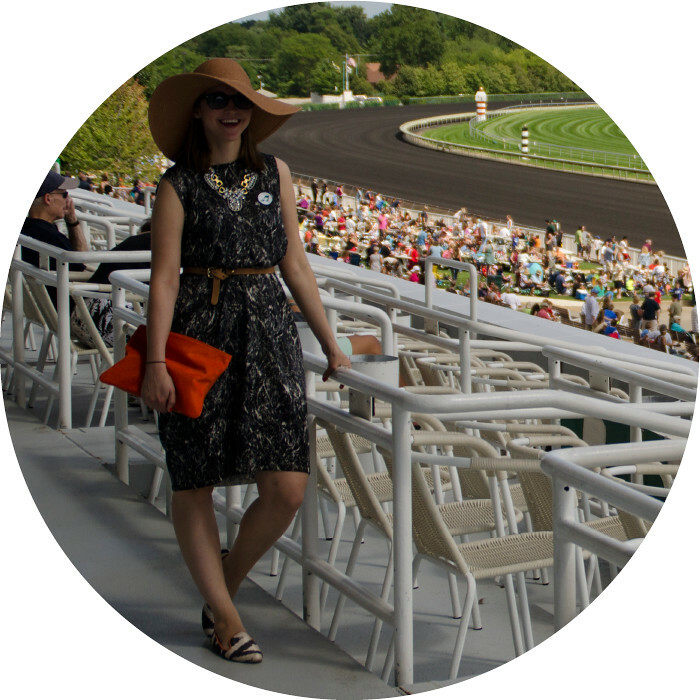 2. nobody else wears hats to arlington unless it's the fancy race day. the only exception was a few fedoras and little kids in easter hats. this does not bother me since i can't really see much when i'm wearing this hat. 3. two years ago when we went i took a bajillion photos (post here), but this time i focussed on picking the winners based on their names. i can't imagine why "pumpkin pusher" came in last.